For the past 13 years, The Boodles has been attracting the world's tennis elite to play in the most exclusive, intimate and luxurious grass court tournament of the summer season. Set within the beautiful grounds of Stoke Park, the tournament combines world-class tennis with a quintessentially English summer garden party. Year on year, The Boodles provides the perfect environment for the top male players in the build-up to Wimbledon. Past players have included Boris Becker, Goran Ivanisevic, Tim Henman, Andre Agassi, Pete Sampras, Novak Djokovic, Andy Murray and Juan Martin Del Potro - 2019 is sure to be no different. With an intimate crowd of only 1,500 and no seat further than eight metres from the court, The Boodles gets you and your guests closer to the action than you ever thought possible. 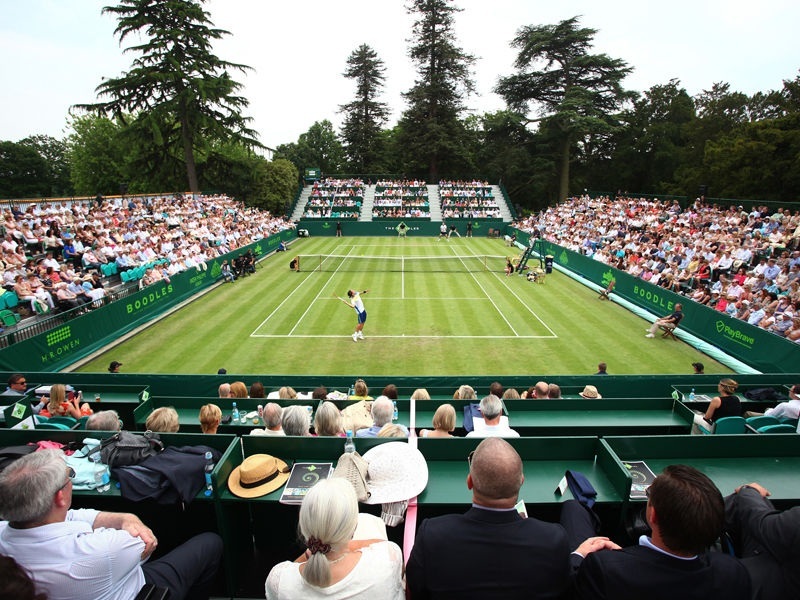 We look forward to welcoming you to The 2019 Boodles from the 25th-29th of June, please come and share another celebration of tennis and English summertime with us. The Players Enclosure package is the most lavish, yet also intimate and wonderfully relaxed, way to enjoy your day at The Boodles; a five-star package for those who want the best. The Legends Enclosure package offers guests the chance to dine in Stoke Park's historic Palladian Mansion and offers unrivalled value for entertaining of this calibre.